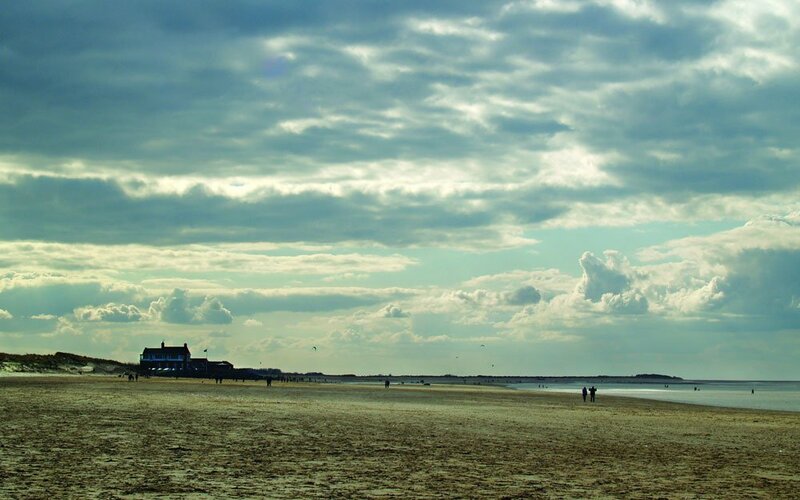 Brancaster Beach is situated in North Norfolk, around 7.5 miles to the east of Hunstanton. It’s a beautiful part of the world with excellent accommodation, restaurants and pubs – A superb place for a kitesurfing long weekend. It features a long, beautiful sandy beach. At around 2/3rds tide height you’ll often find flat water, perfect for freestyle/wakestyle kitesurfing. If you’re planning a road trip to Hunstanton and the wind swings round to an easterly direction, Brancaster is the spot you need. Brancaster will work from W around to E, but works best on NW to NE. Brancaster has a large tidal range. The best time is at around 2/3rds height, when the lagoons fill up. Towards high tide on a Northerly it can turn into a beach break. On a big tide the carpark floods, so watch out! Usual conditions at Brancaster are small, clean waves, then flat water lagoons as the tide comes in. So a good fun spot for improving your directional board skills (we've had great fun on the SUP here when the wind didn't arrive), and great for freestyle wakestyle in the lagoons. Brancaster beach welcomes experienced kitesurfers. There's a dedicated launch and landing zone, and a strictly out-of-bounds area. Please see the map in the gallery below. 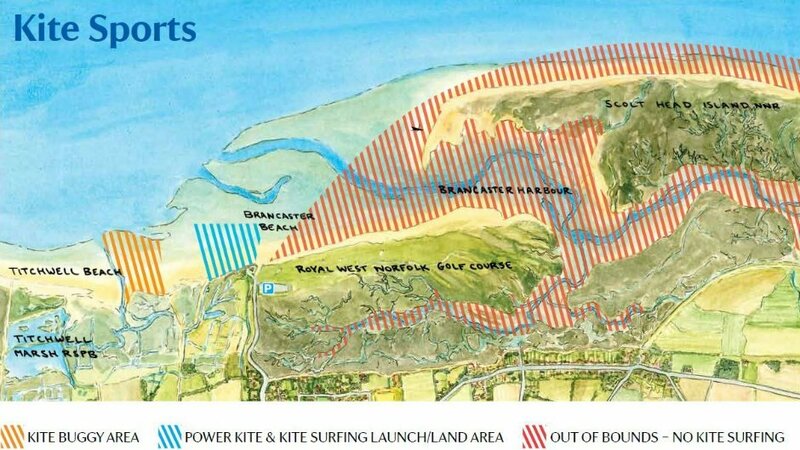 If landboarding / buggying is your thing, you can access the beach here, but head down to Titchwell beach to ride (see map in the gallery below). Swimmers / bathers have priority in and out of the water. On your inward tack, approach the beach with caution. There's also a 'Norfolk Kiters' Facebook page. The entire area is an SSSI (Site of Special Scientific Interest) with 2 renowned RSPB locations immediately either side. RSPB Titchwell to the west with it's unique mixture of saltwater / brackish / freshwater habitat and Scolt Head Island to the east - a high-profile breeding ground for protected species. 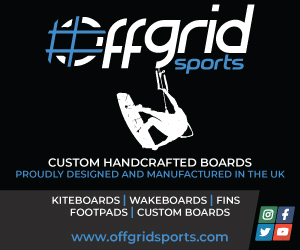 The ownership / management of the beach have a long standing agreement with the local kitesurfing community which has worked exceptionally well for more than a decade. If you DO come to kitesurf at 'Branny' - PLEASE be aware of how sensitive the situation is! No-one wants to lose access to this awesome location but it requires EVERYONE to stick to the agreed guidelines as illustrated below. Keep clear of the channel buoys. 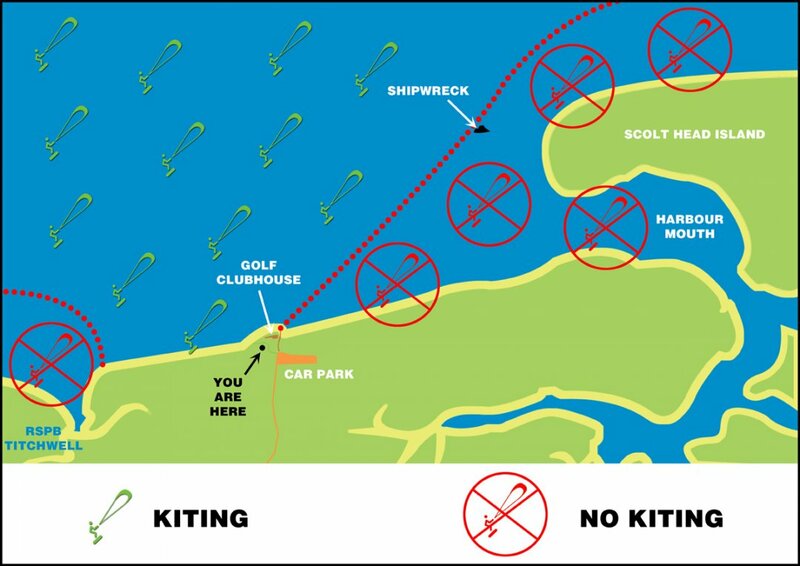 Due to strong tidal conditions it is recommended that only experienced kite surfers ride Brancaster. When using the water at high tide keep clear of fishing nets set between the high and low water mark. Use the map below for an exact location. The carpark is pretty big, so you shouldn't struggle for parking. Parking costs: £2 for 2 hours, £4 for the full day. Many thanks to John Matthews for taking the time to provide us with extra info for this guide.